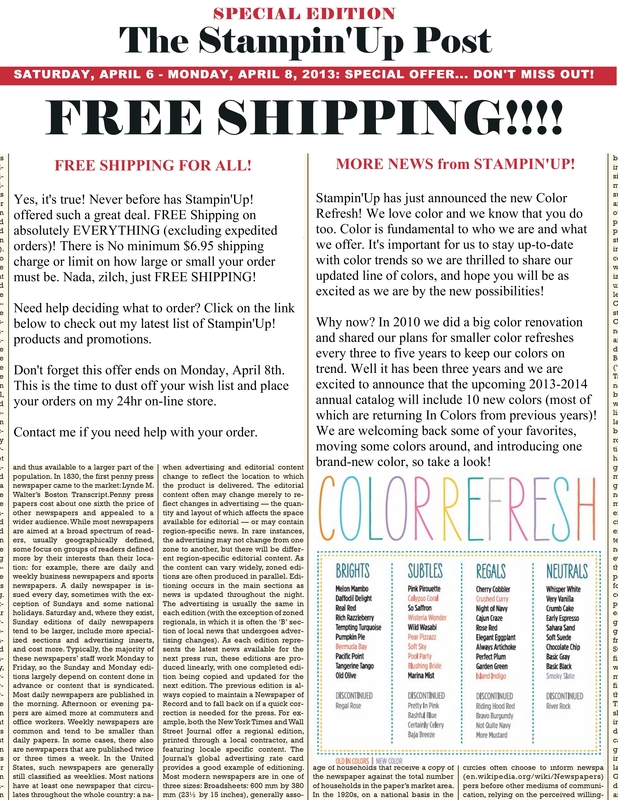 FREE SHIPPING April 6-8 and NEW Color Changes from Stampin’Up! April 5, 2013 Stampin'Up Promotions / Stampin'Up! Latest list of Stampin’Up! products and promotions, order them this weekend and take advantage of the FREE SHIPPING!